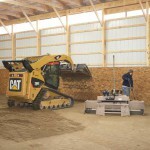 Basement Construction – Basements are becoming more customized with angles and features that challenge excavators to do the job precisely and efficiently. Through our experience with new homes, O’Risky has fine-tuned our technique and tools to achieve professional basement construction that sets a strong foundation for a quality build. Thermomass Insulation Wall Construction – O’Risky is a poured concrete wall and foundation contractor in the Tri-State using Thermomass wall construction for basements, homes and commercial buildings. The strength and insulation properties of today’s poured Thermomass walls far out-perform any other wall construction materials including timber, brick, block and VERSA-LOK. 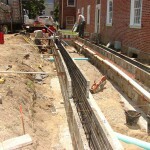 Waterproofing – Basement construction includes a Form-A-Drain™ system and spray-on waterproofing designed to serve as a long-term drainage and moisture barrier. 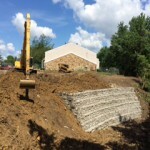 Concrete Retaining Walls – O’Risky uses Western brick-faced forms that give the look of real brick retaining walls. 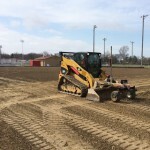 Our crew has extensive experience in soil relocation and precision grading that results in a safer, more stable site for installing concrete retaining walls.